Warning: prices, links and product specifications for Nikon D810 body are submitted by our listed stores. Please notify us if you find any errors. Only on ShopMania you can choose from hundreds of online stores delivering in Johannesburg, Cape Town, Port Elizabeth, Pretoria, Pietermaritzburg, Polokwane, Durban and all over South Africa, and find the best deals for Nikon D810 body (DSLR, 36.3 MP, CMOS sensor type, 1920x1080 max video resolution, 7360x4912 max image resolution). 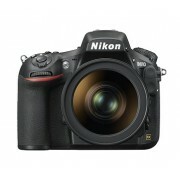 Here you can compare digital cameras offers, browse the Nikon D810 body photo gallery and find out all about its features. Read product reviews and comments from the users in ShopMania community, learn about the last-minute discounts and find the lowest Nikon D810 body prices available. Although it does not fit in your pocket, the DSLR body of the Nikon D810 body is versatile, offering you the possibility to attach different lenses and specialized accessories, flash units, extension tubes and others. Having a 36.3 MP resolution, this camera takes the most exceptional pics, of superior quality, which can be printed in very large sizes, suited even for posters, as it captures the most fine detail in images. With the 3.2" display offered by Nikon D810 body, there is no need for you to wait to get home in order to to see the photos or videos at optimum quality. You can watch them directly on the camera display, with the finest details, as the screen is big enough.